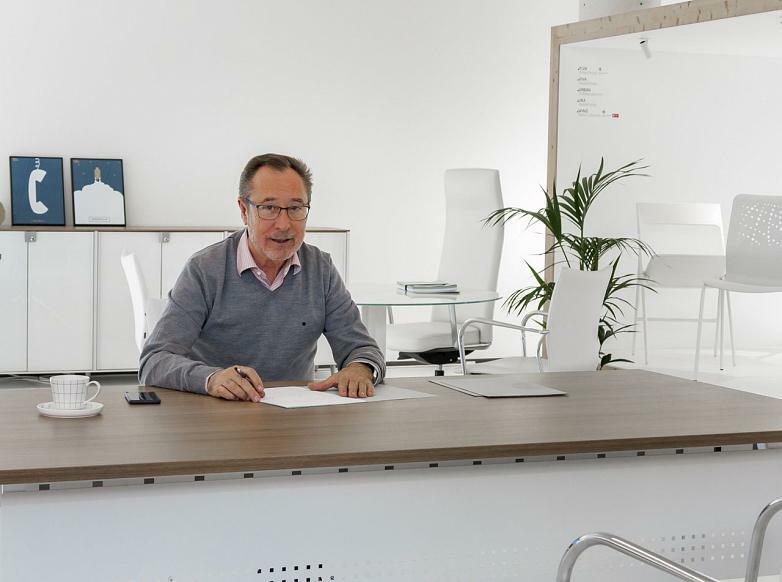 The president and founder of Actiu, Vicente Berbegal, was born in 1948 in the town of Castalla in Alicante, where he has built an exemplary project that rose from a modest carpeting workshop to become an international company, present in 85 countries and employing more than 200 people. Vicente is a model self-made businessman, resulting from his capacity to innovate, explore new business borders, persevere and work. The start of this entrepreneur came from a contribution from his parents in 1968 so that he could start his furniture business in the town of Castalla. From this small seed, which quickly gave fruit, Creaciones Berbegal was founded in 1970, the seed from which came Actiu today. But through this journey to arriving at the current company, Vicente never forgot the words from his mother when he established his first business: “If you start a company, do the impossible to respond to your employees”. A maternal condition that he never forgot. Vicente became a furniture designer and producer, at the same time as being salesman, accountant, took charge of and delivered orders store by store. In less than a year he had returned the money to his parents. His first business became Creaciones Berbegal and bit by bit he was able to extend the facilities, including improving manufacturing and logistical processes. His concerns for the workforce was and still is present for the future and, as a result, Actiu Technology Park was created. 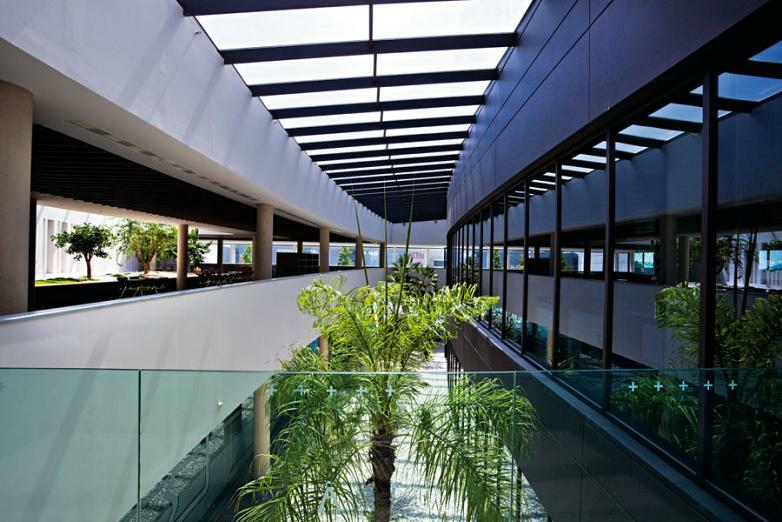 An industrial complex awarded LEED Gold for its capacity for self-sufficiency and in energy efficiency, where good working conditions are also part of the success in team management. Cycling, nature, travel and fairs have been sources of inspiration for Berbegal throughout his career. Out of all of it, it was reaping knowledge, inspiration and a work model to generate ideas on new focuses, qualities, design, communication, trends, markets. The essence of his management has always focused on innovation, developing a company with its own personality which has tried to differentiate itself in the market, and has stood out for its energy, approach and freshness. 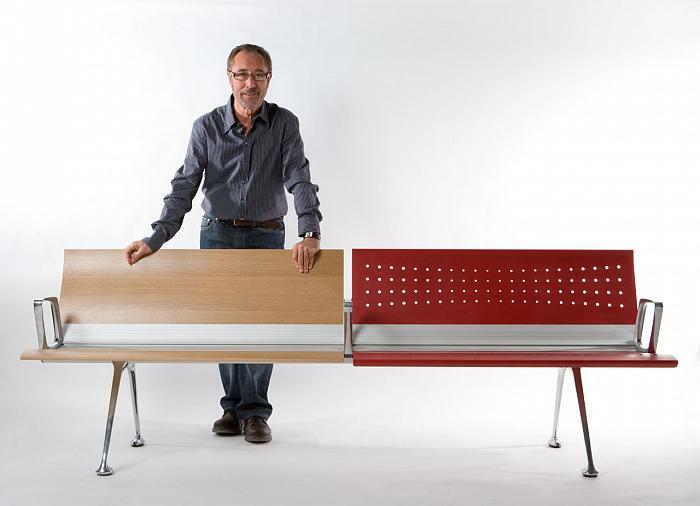 It was in 1982 when the company made a qualitative leap, opting to manufacture and design IT furniture. This line of business was made in anticipation of market trends, and, even against those who qualified their proposals as “too modern”, led to an improvement in existing designs and created a unique style and differentiated it from the rest. From this moment, Creaciones Berbegal started to receive orders for its ‘IT furniture’ until the deliveries were in their thousands. IT furniture was the start of the transformation of what Actiu is today, which came to light in 1995, passing from home furniture producer to specialists in solutions for work environments. “I got it wrong thousands of times, but for me it wasn’t a handicap and yes these situations allowed me to progress. An entrepreneur shouldn’t be afraid to make a decision and trust themselves, and in the non-success stories, we learn from it”. As it so often happens in a long professional or life story, the evolution of the company returns today to its origins through Cool Working, a philosophy which combines wellbeing and work to achieve working environments where you can feel at home, comfortable, welcome and motivated. Cool Working wears the stamp of Actiu, the essence of its founder. 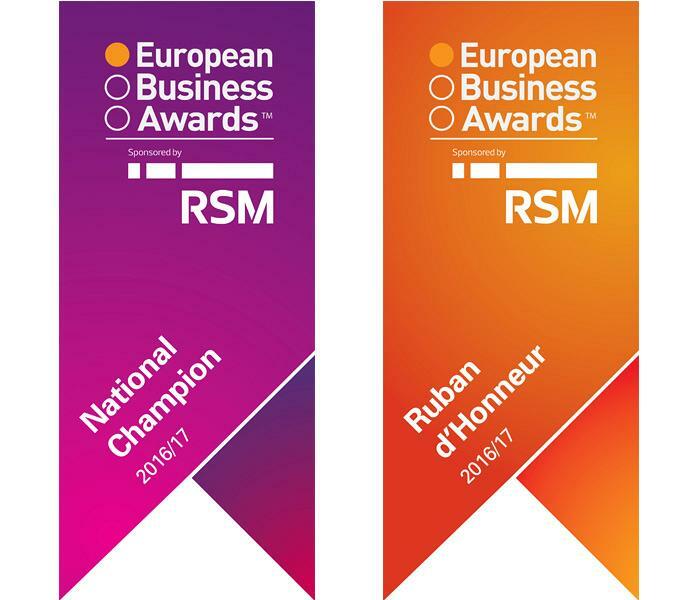 Recently, Vicente Berbegal has been selected by the Jury for the European Business Awards (EBA) to represent Spain in the category of European Entrepreneur of the Year 2017, having selected Actiu amongst 110 European companies, of 32,000 presented, chosen for European Business of the Year. It is recognises an entire business career that, without a doubt, would serve as a preamble to the 50th Anniversary which the firm celebrates in 2018. Watch our promotional video for Actiu for the European Business Awards.